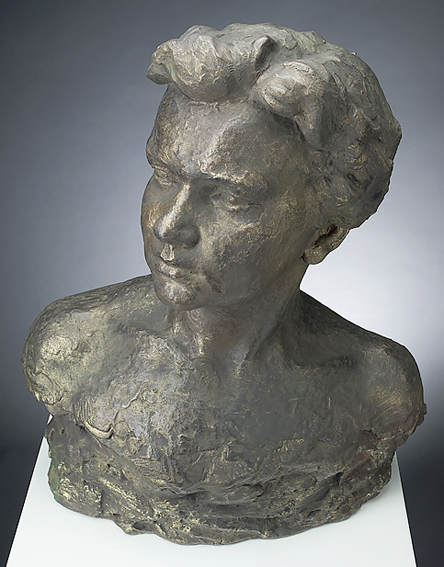 Academic sculptor Milan Vojsk was already an established and very respected sculptor when he left Slovenia for Australia. His new surroundings did not offer him the appropriate space needed for a sculptor. He had to deny himself certain materials which he liked. Even on a smaller compositional scale, he continued his artistic journey and storytelling, which was focused on building the natural, spiritual and moral order. 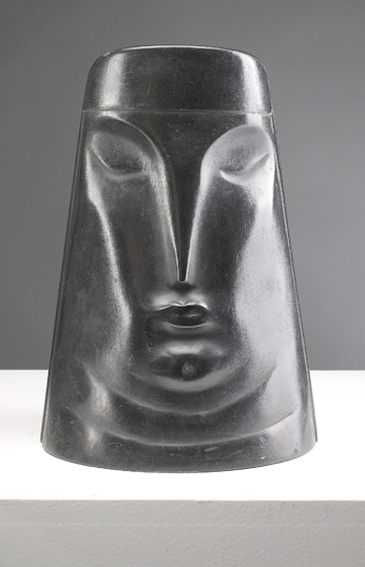 Milan Vojsk created many portraits, symbolic sculptures and contributed to the artistic climate in both homelands. Milan was born on 20. 10. 1922 in Beltinci, Prekmurje and died 3.5.1997 in Sydney. Education: In 1933, after completing primary school, he entered Maribor Secondary Modern School. His teacher was Prof. Franc Ravnikar. 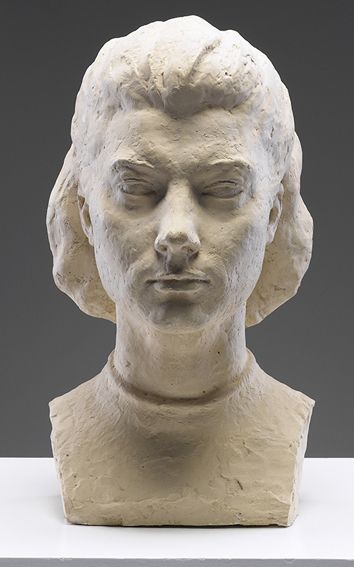 After the occupation by the Germans he studied sculpture at the Munich Fine Arts Academy. He was accepted provisionally by Prof. Bernhard Bleeker in his class. In 1945 he resumed his studies in the 5th semester at the newly established Ljubljana Academy of Fine Arts. He graduated with Prof. Boris Kalin and Frančišek Smerdu. 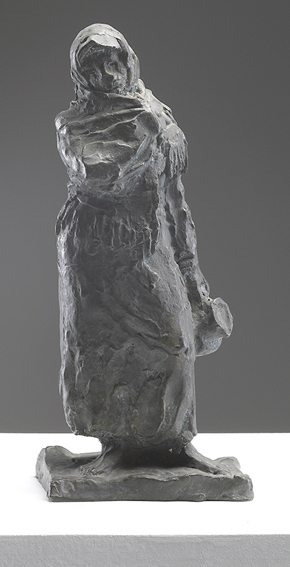 Awards: Student’s award for his sculpture at the Munich Fine Arts Academy. Milan was drafted into the German army. He refused to join the army, therefore in the autumn of 1943 he was imprisoned. He spent four and a half months in prison, then under a threat of being shot he was forcefully drafted. When the war was over he happened to be in military barracks in Munich where he was taken war prisoner by the incoming allied forces. After spending four months in a collecting camp, he was sent back to Slovenia by the Americans. He moved to Maribor and joined the Maribor branch of the Society of Slovene Fine Artists. Milan migrated to Austria. After some months’ waiting for an Australian entry visa, in March 1957 he, together with his wife, embarked on a ship to Australia. The new beginning in Australia was difficult. He spent the first months in the Bonegilla emigration camp in Victoria. When he got a job with Messrs. Fowler & Co., the whole Vojsk family moved to Carramar, a suburb of Sydney. There the Slovenian born businessman Dušan Lajovic found an apartment for him. In the garage Vojsk arranged an improvised art studio and registered his membership in the New South Wales Sculptors’ Society. In 1958 he got a position as a designer at the TV station Channel 7. 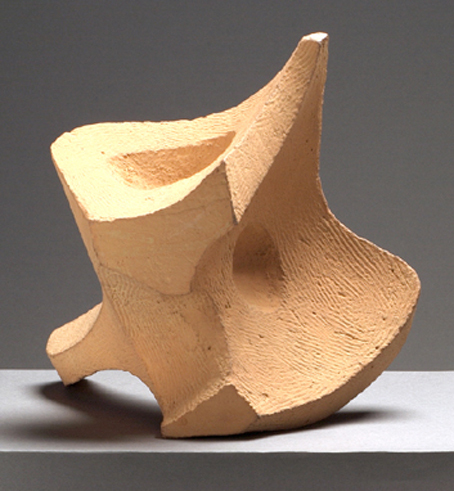 As a member of the New South Wales Sculptors‘ Society, he participated in 1960 at the Adelaide Festival of Art. One year later he participated in the contest for the William Blake Award. With initial works he attracted the attention of Australian art critics and clients from the secular and ecclesiastic circles. In the mid sixties he got a job as a scenery worker and a walk-on in the Elizabethan Theatre Trust in Woolloomoollo, the harbour quarter of Sydney. period. In this time he made a series of works of monumental character and of small sculptures. 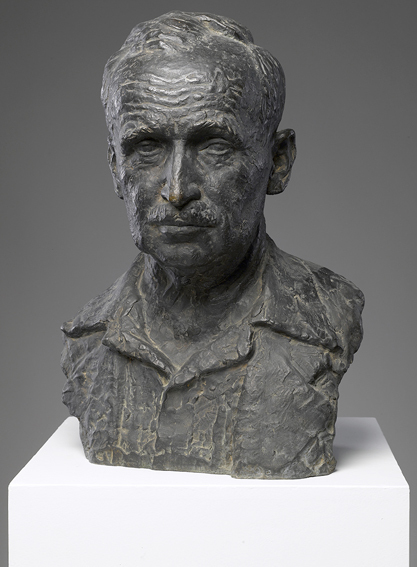 He participated regularly in the exhibitions of the New South Wales Sculptors’ Society, and provided sculptural decorations for several public buildings and hotels in various Australian cities. The fervent, fast modelling, the sharpness of mind mixed with provocative attitude and satire that were characteristic of many works created in Maribor, were replaced in his emigration by intimism, research into the form and technical perfection that often seems to be very close to decorativeness. 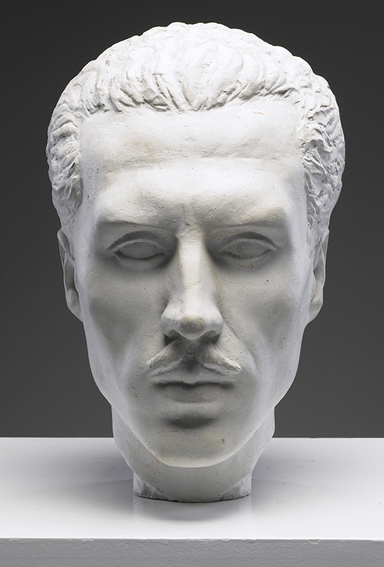 In the conservative Australian milieu, when the sculptor was more dependent upon the clients, and especially in the case of monumental sculptures, he produced rather sterile artistic forms. 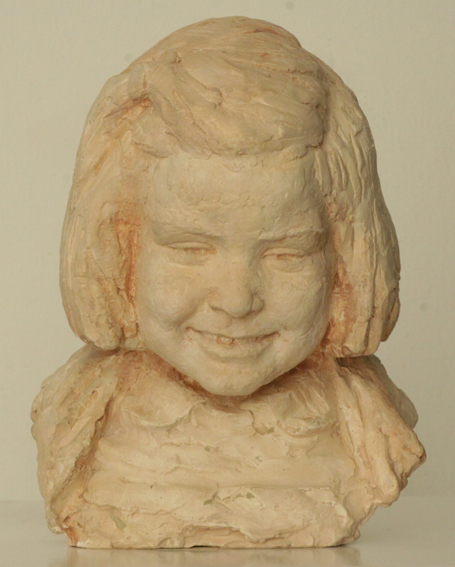 Vojsk’s creative efforts seem to have been rooted in the aesthetic of the pre-war sculptural realism. In Slovenia, due to ideological reasons, this aesthetic response continued into the late 1950s. In the rather autarkic environment of Maribor, the artist gradually started to turn away from the descriptive realistic expression by first introducing naturalistic elements and then by stylisation and abstract tryouts. In his sculptural opus the classic figural motifs and the portrait prevail. His engaged figurals occupy a special place. It was through this delicate psychological realism that Vojsk reached his highest point. Up until the mid 1950s Vojsk created a series of ironic and grotesque works which are either directly linked to the contemporary events in society or represent a satirical commentary based on the works of earlier artists. The majority of his works are made of burnt clay orplaster, which proved to be the most appropriate materials for his sketch-like modelling. In the Australian period, when monumental sculptures with religious motifs came to the foreground, he also tried wood, stone, various plastic materials and metals. The few preserved drawings and prints that remain are completely subordinated to his sculptural work. In Maribor his sculptures were extremely heterogeneous and uneven as regards quality. 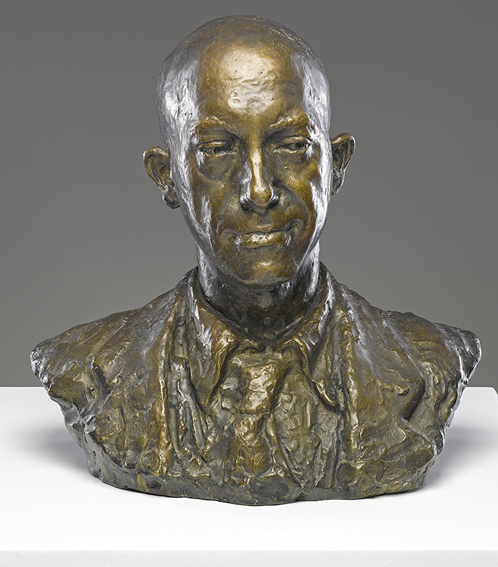 He focused his attention on portrait sculpture, he achieved, except in the case of some rather schematic portraits of political and cultural personalities, the highest harmony of form and content. Smooth modelling of the childrens’ portraits alternates with more picturesque, ‘impressionistic’ surface treatment, where the material’s tactile surface, together with the effects of light and shade, further enhance a sharp psychological characterisation. It essentially represents a synthesis of a study-type approach to the representation of the psyche of the portrayed persons in which Vojsk omits petty realistic details. 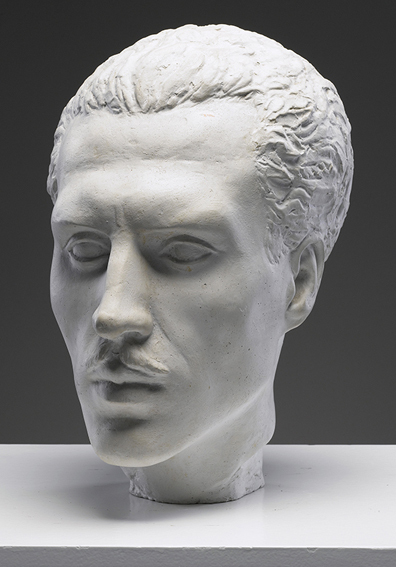 He employs dynamic, sketch-like modelling in clay and plaster, where the sculptor is avoiding petty describing realism in favour of the monumental effect of the whole. A more intimate and lyric approach may be noticed in his portraits of children and women. There, realism is often replaced by idealisation of the figure, which, however, still retains basic individual characteristics. These are calm, meditative portraits in which he strives to achieve the ideal of beauty yet without a special emotional charge. Caricature and satire with grotesque elements are particularly present in Vojsk’s works from the mid 1960s. Vojsk’s Australian sculptural opus is, similar to the Slovenian one, rather uneven as regards quality. 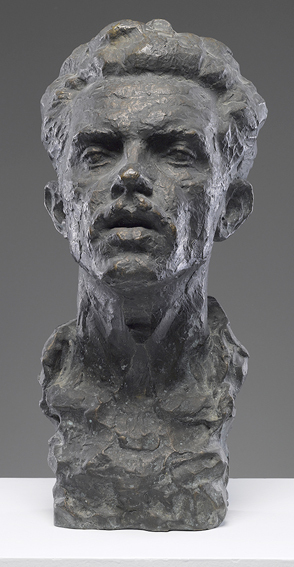 Realistic portraits and stylised figuration prevailed up until the mid 60s when the sculptor, in his smaller as well as his monumental sculptures, gradually liberated himself of his dependence on the realistic heritage. From that time onwards, yet still within a framework of moderate modernism, Vojsk devoted his efforts to more profound research into the artistic forms and new materials, though still based on the external world. 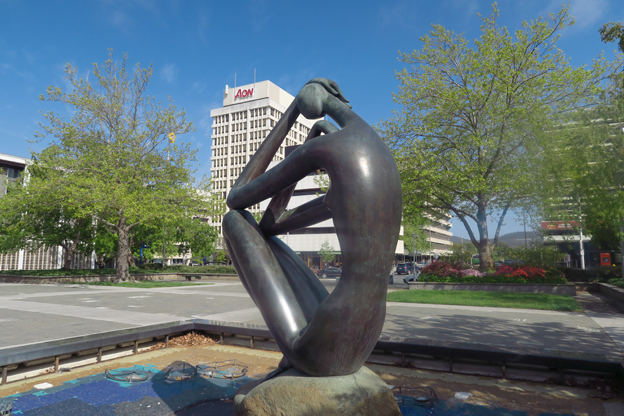 The mid 60s opened up new possibilities for monumental sculpture when representatives of the Australian Reserve Bank ordered a bronze variant of his ‘Dreaming’. 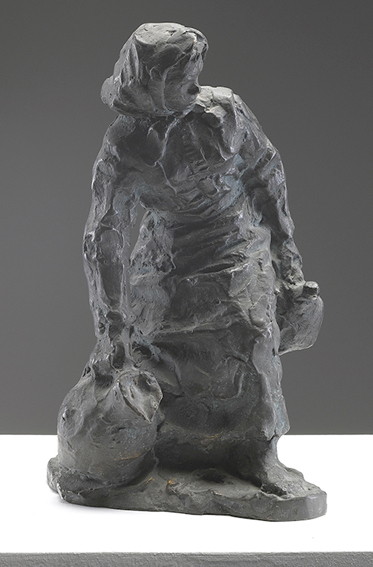 Vojsk devoted this sculpture to Australian aborigines that he met in Redfern, a suburb of Sydney. This concept of ‘dreaming’ is the starting point and the central theme of his religious system which denotes the natural, spiritual and moral order in the universe. Dreaming, of course, is a European expression which only partially encompasses the complex and abstract mythological contents of this belief system. 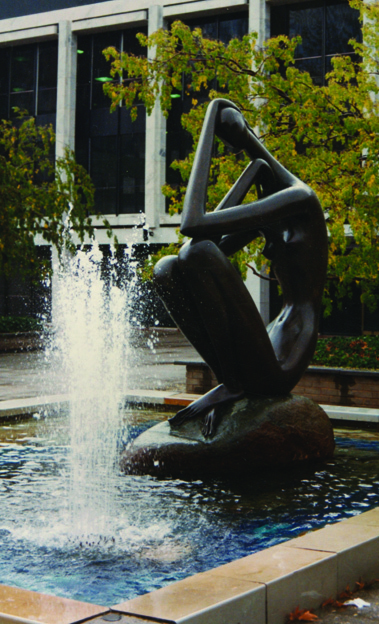 Vojsk, however, started to design the sculpture from European, rationalist aspects. The sculptural medium represented for Vojsk the means of interpreting relevant but also quite frivolous and subjective dilemmas of his time. These interpretations range from melancholic and lyrical to almost brutally grotesque and expressive ones. Vojsk, however, consistently and consciously avoided crossing the limitations of moderate modernism which, according to his conviction regarding his artistic mission, still made his artistic expression relatively transparent and convincing. Acknowledgement: Umetnostna galerija Maribor (UGM) – Art Gallery Maribor, especially Ms Andreja Borin, Art Curator in Charge, and photographers Damjan Švarc and Ivan Leskošek. Thank you as well to Milan Vojsk’s son Samo for the permission to use the photos of his Father’s work.